I haven’t done a hair post in a bit, but am planning on it soon. After being Natural for two years, I think I finally have a routine and products that work best for me (for now–I hear that can change). 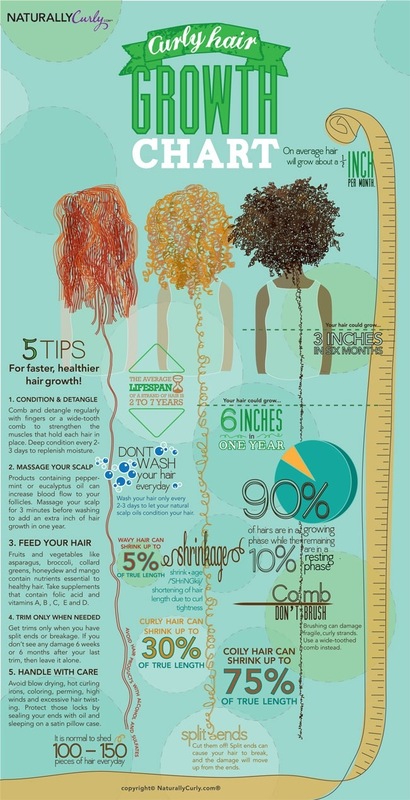 I the meantime, this infographic, courtesy of Naturallycurly.com provides a great graphic about aiding hair growth. Check it out and thanks for stopping by!